Designed house and furnished by the architect. Surrounded by gardens, with semi-Olympic swimming pool (25m). House equipped with TV's in the bedrooms and living room. Fully equipped kitchen hob, oven, microwave, refrigerator washing machine dishes, toaster and coffee maker. It includes cleaning and bi-weekly change of towels (service only available in the months of June, July and August). Very quiet location, easy access to beaches (4 Km), golf courses (1 Km); casino (4 km); marina (4 Km); nightclubs (2-4 Km); Faro airport (25 km). Lovely villa. Bit of a trail to nearest beach / shops but other than that fab. -From Motorway (A1) exit at the direction of Faro - Boliqueime - Vilamoura. 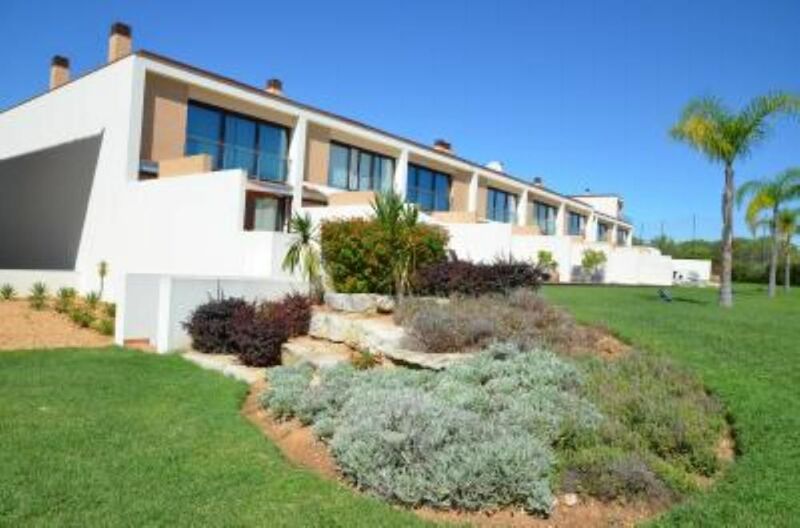 - From the airport take the main road (N125) direction Albufeira - Portimão, exit at the direction of Vilamoura. - In Vilamoura, after the traffic lights of the main entrance, go on to the third roundabout and then turn right. Move on to the second roundabout and then turn left. Take the first left into the millenium golf, after 150 m, turn left in the urbanization Monte Laguna. Make the roundabout to turn left (ie go out last) stop the car on the right, opposite the villa (fraction E). Several restaurants in the marina (eg akuavit; Thai), the beach (Thai beach; aquamoments), nearby (hyacinth; paisajem; retreat). Several sandy beaches nearby (eg cliff;).